There are some flavors that just remind me of childhood and being outside playing all summer long. The creamsicle is one of those flavors! 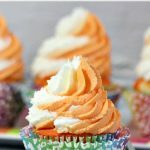 I love pretty much anything orange and adore cupcakes so these Orange Creamsicle Cupcakes are perfect in my book! The base of the Orange Creamsicle Cupcakes is a white cake with a hint of orange. 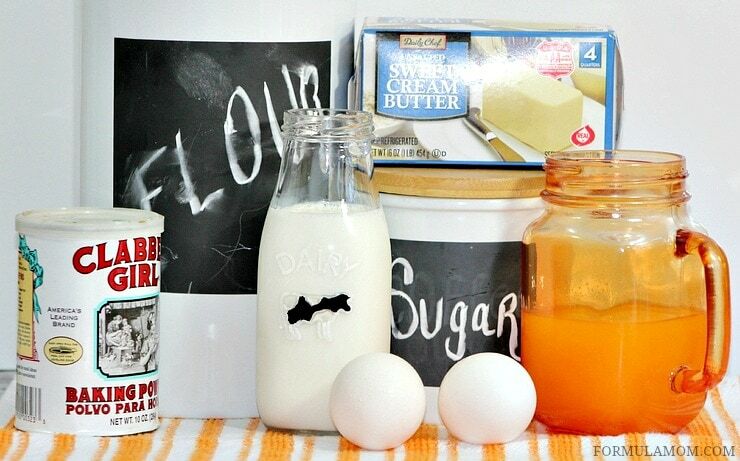 So you can use your favorite white cake recipe, a box mix, or try this great recipe to get started! Heat oven to 350 degrees and line cupcake tin with paper liners. Beat the butter and sugar together until it becomes creamy. Add one egg at a time to the butter/sugar combination. Beat to mix after each egg. Add the vanilla and combine the wet mixture with the dry ingredient mixture. Stir to mix. Add the milk and stir gently to mix all ingredients. Next, add slowly add the orange juice and make sure the batter is well mixed. Fill cupcake liners about 2/3 full and bake for 15-18 minutes. Allow to cool for at least 20 minutes before frosting! Frost and enjoy! This cupcake has a light orange flavor and we recommend pairing it with our Orange Buttercream frosting for the perfect Orange Creamsicle cupcake! Allow to cool for at least 20 minutes before frosting! 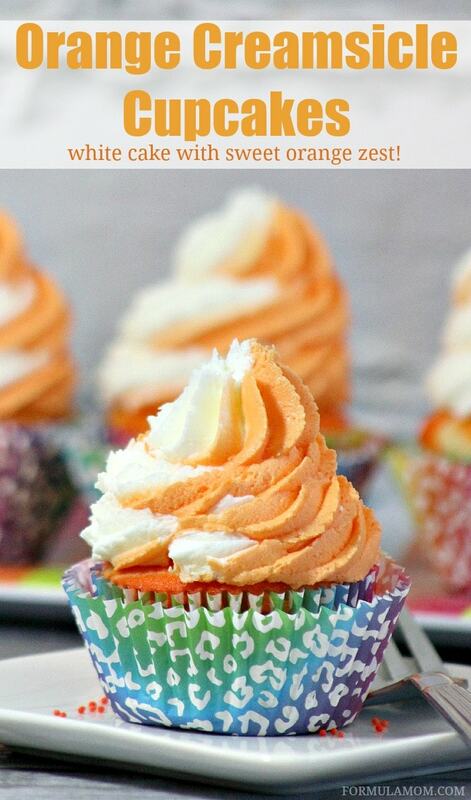 Be sure to check out the Orange Creamsicle frosting recipe to finish these cupcakes off right! Tell me about the flavors that make you think of being a kid and summer! 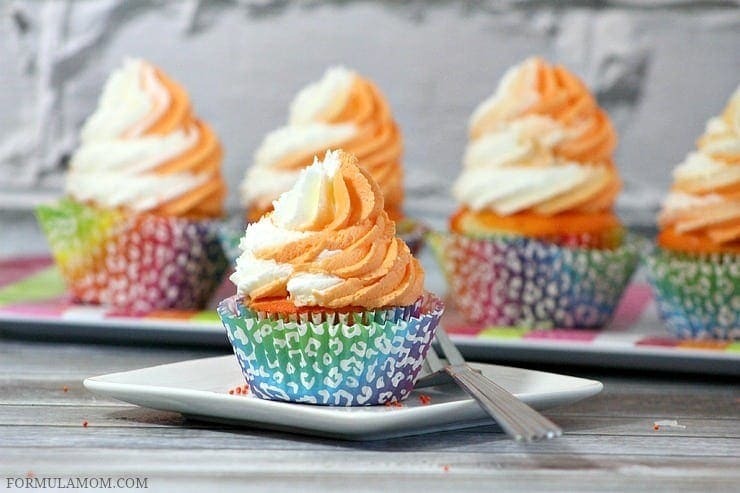 These look amazing- I am such a fan of orange creamsicles and this seems like the perfect flavor combination for a cupcake. Thanks for sharing. I stopped by from One Project at a Time. We were just discussing creamsicle this week. Looks like I should be making some cupcakes. Orange creamsicles are my dad’s favorites. I will have to make these for him this summer! Orange creamsicles have always been my favorite…actually anything orange is. Delicious looking cupcakes. I will be trying your recipe…thanks for sharing. I love creamsicle and these look mouth watering good! This is a great recipe! I would love for you to share this at my party Making Memories Mondays going on now! Hope to see you there! I can’t wait to try one of these awesome cupcakes. Thanks so much for sharing your post with Full Plate Thursday. Hope you are having a great day and come back soon! Yum! This looks delicious! Thanks so much for posting this. I am going to make it as soon as possible. Keep posting awesome recipes like this I am way excited to see what is to come! What a super combo of flavors Mariah – congrats! Thanks for sharing and we look forward to seeing you again!